It took maybe two seconds for me, as a six-year-old in 1999, to realize that I would immediately love Super Smash Bros. after having seen the trailer on television for the first time. The commercial was a live-action trailer narrated by Don LaFontaine, that featured the hit single 'Happy Together' by the Turtles, with actors in costume as characters from never before crossed over Nintendo franchises, beating the living daylights out of each other. These were the kind of matchups that children and adult game enthusiasts alike, had previously invested hours arguing over. Players now had an opportunity to settle the score, where old rivalries die hard and have fun. Nintendo had hit all the right notes. But there was one very important take away from this game's release that underscores one of Nintendo's best branding methods to, what I was in 1996, a younger audience. That was the inclusion of Ness from EarthBound, as a playable character. I was unaware of how this would impact the trajectory of my gaming interests several years later. At the time I had unlocked three out of four of the game's hidden characters. They were Captain Falcon, Jigglypuff, and Luigi -may he rest in peace.These three characters were all mainstays in my Nintendo universe. I had no reason to suspect that the fourth would be any different. I thought the fourth hidden character might be Mario's nemesis, the fire breathing Bowser, or Mewtwo, the most powerful Pokemon in the original generation. America Online and dial up internet were also new to me, and I would not know how to use the internet as an accurate resource for several years. That was longer than I was willing to wait for closure of this magnitude. With no knowledge of the website, Cheat Planet, or older siblings, I waited in anticipation wondering who or what this final character was. It was not until I was invited to an elementary school friend's home, who had a copy of the game with all hidden characters unlocked, that I saw Ness for the first time. I was underwhelmed. Who was this character, a caricature of myself and Leave It to Beaver? I had never seen or heard of Ness before. Was I going to fight Star Fox and Samus using Lunchables and pencil cases as projectiles? I was convinced I needed fireballs, rocket launchers, or a giant sword, to fend off other Nintendo greats, none of which looked as if it would fit in his knapsack. Ness and I did not hit it off, but this unassuming character did wield a baseball bat, so it was a start, and in the hands of the right player, Ness was deadly due to his psychic ability and unique moves. The inclusion of Ness was an important move by Nintendo, expanding the gaming horizons of players who had never encountered the character prior. Years later I learned who Ness was, and he reappeared in every Super Smash Bros. title after the original, but he left his most lasting impact on gamers of this era with his series debut. 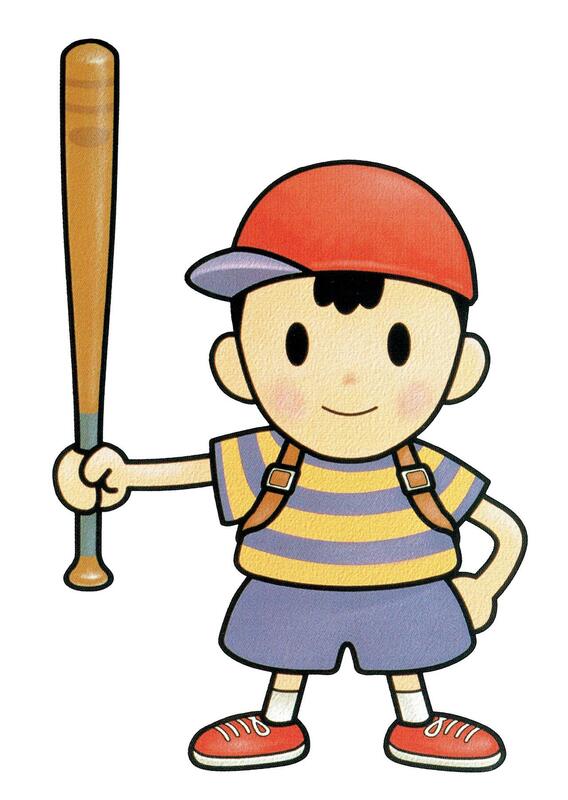 Ness is the central character in a JRPG from 1994 titled EarthBound. In Japan EarthBound is known as Mother 2. As the name implies, it is the second game in a series, but is the first game in the series released outside of Japan. See where I am going with this? The instant I realized that there were games and characters that had existed for years, but had never been released in the United States, an entirely new genre of not just games, but everything that comes with imports; ranging from technological, price, content, and regional differences, was opened to me. Nintendo is a Japanese company and this may not seem groundbreaking to the uninitiated, but to a six-year-old, it was a game changer. Copies of EarthBound are currently trending on eBay for $169.99, and its Japanese equivalent Mother 2, is currently available for $23.00. If a gamer invests in Hyperkin's Retron 5, one of the most innovative ideas in gaming tech, they have bridged a region gap and saved a noteworthy amount of money. Several world-renowned games such as Final Fantasy III, Chrono Trigger, Hagane, and Castlevania: Dracula X fall into this category. And some games such as the sequel to the original Super Mario Bros. are entirely different between regions. To highlight all of these differences would warrant an entire documentary series in and of itself, but for me, my introduction to an entirely new dimension of gaming, collecting, and playing games without input delay caused by converters and upscalers, began with the inclusion of Ness in the original Super Smash Bros. This lasting impact prompted me to use a region free Nintendo 64 to play unique Japanese exclusives such as, Treasure's Sin & Punishment and Bangai-O. Titles that almost got me sent to TwitchCon, but that I surmise many Nintendo 64 fans may not know exist. However, they are likely aware of Treasure's American Nintendo 64 title, Mischief Makers, considered a hidden gem on the console. Today players can decide if they want to browse the digital marketplace on their respective home consoles in order to find a previously unreleased version of a Japanese or rare title. This is economically beneficial and allows the game to be played without an HDMI upscaler or conversions of any kind, minimizing the presence of input delay and allowing for capture card use for streaming and recording. It is the chief reason I purchased an Xbox 360 recently, to play Treasure's Radiant Silvergun, an incredibly expensive game to obtain for the Sega Saturn. Nintendo has continued this tradition of adding characters that may pique the interest of gamers unfamiliar with their debut appearance in gaming. 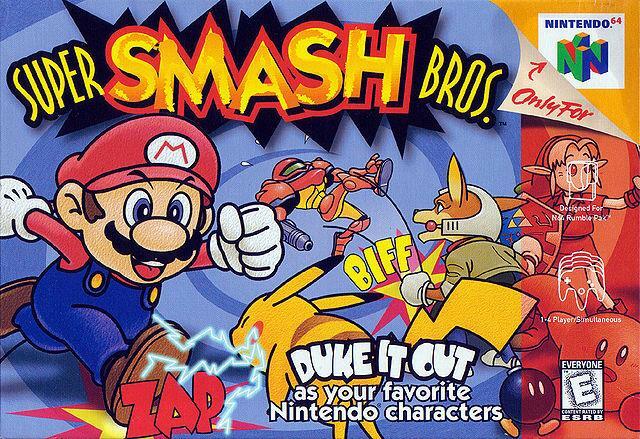 In the sequel to Super Smash Bros., Roy and Marth from Fire Emblem, another franchise that had not seen a US release at the time, were introduced as playable characters and beloved by fans and professional players. That was in 2001. Since then, the Super Smash Bros. franchise has included Mega Man, Ryu, Solid Snake, Sonic the Hedgehog, Pac-Man, Cloud Strife, Simon Belmont, and even the dog and duck from Duck Hunt. While none of the titles these characters appear in are Japanese exclusives, it is possible they may be making their first appearance to younger audiences, who may have a similar interest in exploring their origins, as I did with Ness. What was an equally pivotal gaming moment for you as a player and what characters would you like to see in new installations of Smash Bros? Email me at DVermillion@GamingNexus.com, Tweet me @Dvermillion8, or comment below! My vote goes to Earthworm Jim!